When I joined APFM, it was my hope that this organization would provide a better forum than ACR for experienced family mediators to exchange ideas and experience. The Fall 2012 issue of The Professional Family Mediator was very consistent with the above goal, and although I was unable to attend the First Annual Conference in Cape Cod, I am told that was quite successful. That being said, I’m not sure I understand why framing APFM Standards of Practice is a top priority. As I scroll through the membership of APFM, I see an impressive list of experienced, ethical mediators, most, if not all, of whom already have one or more sets of ethical standards to follow. For example, I am subject to two sets of imposed ethical standards. One is as a mediator certified by the Virginia Supreme Court, and the other as an attorney mediator subject to the ethics code of the Virginia State Bar. If there is no pressing need for another set of standards for our own membership, then might I suppose we are thinking about the need for a set of ethical standards that may be looked at by mediators who are not members of APFM? But, if we’re the “new kid on the block” coming in to organize the neighborhood, shouldn’t we first make sure that we have established our own credibility? So, for example, if one reason for APFM to get involved in standards of practice is to deal with a concern over the impact on mediation of the consortiums of retired judges, this could well be a wasted effort, for two reasons: (1) those mediators are unlikely to join APFM and may not even have heard of our organization, and (2) retired judges are likely to have far more political clout than APFM in regard to any issues regarding standards of practice in a particular state. Let us first establish our credibility as sharers of ideas and experience before we start lecturing to ourselves and to others about how to practice ethical mediation. 1. 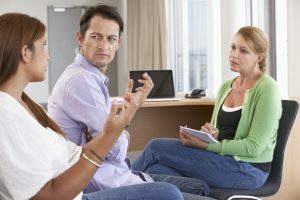 Most of the people who come into mediation have, as a self-determined goal, resolving the concrete disputes they are struggling with, so as to avoid becoming embroiled in attorney negotiations and/or court hearings. Just getting the case settled is often their most important goal. 2. The self-determined goal of most of these clients is also to resolve any disputes they may have in a fair and workable manner. And most people expect that their agreement will meet reasonably consistent community standards and that it will be practical. 3. Many mediation clients also have the self-determined goal of having the mediator provide them with impartial and accurate legal and practical information so that they can make educated decisions. Education is often a very important part of mediation, especially when it has to do with helping the parties articulate the available options. Creative settlement options often involve legal and practical technicalities, such as pension or tax law, definitions of marital and separate property, and parenting options. These frequently require substantive knowledge (as well as process experience) on the part of the mediator. 4. Many of the problems in getting a mediated agreement have to do with the fact that the self-determination of one party is different from that of the other party. “Getting to yes” often involves finding an objective basis for choosing among the available options. The parties often depend upon the mediator to help them find settlement options that make sense in their situation and are reasonably consistent with community standards. 5. Clients should have the right, as part of their self-determination to choose the kind of process they want for the mediation, whether facilitative, evaluative, or transformative, or some combination of these. 6. If the parties so agree, they can also self-determine to involve in the mediation process third party experts, such as custody evaluators, tax experts, real estate appraisers, business valuation experts, counselors, financial planners, retirement experts, etc. Often these third party experts are expected to provide non-binding recommendations. 7. If the mediation reaches an impasse, should not the clients be able to exercise their self-determination (if they both so agree) to request the mediator to make non-binding recommendations for a settlement? If the mediator accepts this role, careful consideration should be given to the manner in which it is carried out. 8. Self-determination often is not static. Every experienced mediator has seen situations where one party exercises her or his self-determination to agree to something that later appears to that same person to have been a serious mistake. 9. The self-determination of the parties as to the final language of the agreement is very important, since that’s the only thing that counts legally. Their self-determination in this crucial part of the process may be severely limited if the mediator does not also draft the agreement, or if the mediator who drafts the agreement does not have an effective means to involve the parties in fine-tuning the actual provisions. 10. Mediation is not a “hermetically sealed” process. It takes place in the context of a legal process that will result in a binding agreement or a court order. Often, both parties have attorneys to consult with and to review any draft agreement. It is not unusual for a court case to already have been filed and even for actual hearings to be scheduled within weeks or even days of the mediation meeting. The alternatives to mediation usually involve far less self-determination (and correspondingly more coercion) than does the mediation process. 11. The mediator also has a right of self-determination as to her or his proper role as mediator. A mediator may refuse to be part of a settlement that she or he considers to be clearly unfair or impractical. The mediator should not undertake to do anything in the mediation process that exceeds her or his training, experience, knowledge, or professional authority. On the other hand, a mediator should have the right to use any of her or his professional background and experience that is appropriate and relevant to the mediation process. 12. The history of mediation is also relevant. There is a long and rich history of mediation prior to its introduction into family law settlements in the mid-to-late-1970’s. Often, mediators in commercial, labor and international disputes were (and are) chosen with the expectation that they will take a more active and evaluative role. Nothing in the history of mediation necessarily would make it clear that such a role is improper. 13. There are some alternative dispute resolution modalities (other than mediation, but short of arbitration) that are now being used in domestic relations situations. These include neutral case evaluation and conciliation. In these modes, often the neutral third party is expected to take an evaluative role. Arbitration is also increasingly used in domestic relations cases, and, by its very nature, is a coercive process. Mediation exists as part of the ADR spectrum. 14. Standards of practice that set up artificial rules intended to protect a narrow definition of self-determination, rather than to establish principles designed to find ethical ways to carry out a broader definition of self-determination, may make it more likely that the disputes are instead settled in the more coercive process of attorney negotiations and court rulings. The ethical focus should be on the manner of implementing a broader definition, rather than enforcing a narrower one. 15. A mediator may have an ethical obligation to raise certain issues even if the parties do not, in order to protect a longer-term right of self-determination. For example, if child support is an issue, the parties should be made aware of the state child support guidelines (while informing them that they are free to agree upon a different figure). If a party has a business or professional practice that was developed during the mediation, the mediator should raise the issue as to its status as marital property. A party that might be entitled to spousal support may be reluctant to raise that issue in mediation. 16. One of the reasons that parties exercise their self-determination to use mediation is cost. There are times when getting the mediation done quickly may be relatively easy and substantially reduce the cost to them of the mediation. For example, post-divorce disputes over modification of child support arise relatively frequently. It is not unusual for them to simply want the mediator to run the state child support guidelines, using the new figure(s), and then tell them how to implement the result. 17. A party to mediation who is represented by counsel has the right to have his or her lawyer present at the mediation sessions. If this happens, the mediator may give the other party the right to also have counsel present, or to postpone or cancel the session. When a party is represented by counsel in mediation, he or she retains the right of self-determination (it is the party and not counsel who make the ultimate decisions), but in practice it can appear at times that it is the lawyer and not the party who is controlling self-determination. Arguably, the mediator may be free to use a more evaluative approach if both parties are represented by competent counsel in the meeting. 18. Finally, there is another good test of how seriously a mediator is committed to self-determination. That is the case where the parties get some ideas from the mediator as to the structure of the settlement, and they then resolve most or all of the remaining points by themselves outside of the mediation session. Or, if the mediator gives them a draft agreement in editable form, they fill in the blanks and otherwise edit the draft into relatively final shape. The mediator may have to do only very little actual mediating to achieve a fair and balanced settlement. I used to worry about these cases, because ostensibly I hadn’t done much to make them come out right. Now I consider them to be successes, because I had somehow given them whatever tools they needed to do it right. The list of situations and considerations set forth above does not cover the full range of problems with any simplistic definition of self-determination. Rather, it makes clear how complex this issue is. And it provides practical examples that can be used to test any proposed standards of practice. In the lead article of this Issue of TPFM, Larry Gaughan observes that in a previous Column that Steve wrote about the self-determination standard, the definitions suggested are too restrictive. The early mediators who founded this field avoided the unfairness of existing law by relying on the idea that fault should not be used as a factor in determining solutions, and by relying on the radical notion that all participants in mediation should be encouraged to create their own standards of fairness, regardless of whether their solution might deviate from state law. As a result of this non-restrictive focus, mediators have helped introduce the world to parenting plans, child support plans that use a joint checkbook for sharing the children’s costs, and other creative solutions. As a result of this expansive encouragement of self–determination, professional family mediators have helped lead an international discussion about the true meaning of fairness for families that separate and/or divorce. Larry seems to seek a middle ground by suggesting that mediation fits in along a continuum or “broad spectrum” of ADR and that a mediator may engage in an evaluative, directive, or arbitration/adjudicative role, if asked to do so either during or after the mediation is attempted. Certainly, there is a multitude of legitimate conflict resolution functions, created as variants, short of outright perpetual litigation. And certainly, people can seek out those systems and pay whatever they want for the professional who is willing to act that way. But, we professional family mediators should always be clear about what we are offering to the public. Our new proposed standards discourage the offering of one thing and the delivering of another. That is, we suggest that one not offer mediation when in fact what is provided is something else, such as settlement conferencing, or early neutral evaluation, or non-binding advisory arbitration, or, for that matter, mediation-therapy. Over the years, adjudicative processes have seeped into the mediation room in many ways, yet it has not gone the other way—with the courtroom becoming more cooperative. Adjudication has remained an island, almost pure and unchanged, and if anything, ever more adversarial. For example, an attorney engaged in representing a client is duty-bound to advocate for that client only, to advise that client about the law as it applies to his or her case, and generally, to advance the client’s wishes. It would be a violation of lawyer ethics to say to a client, “Now, in my representation of you and in my advancing your wishes, I will undertake to also ensure that the other side obtain the best outcome possible, as well, and in representing you in this matter, I will not hesitate to do my best to help the other side in any way that I can. In any state in which one practices law, even if your client asked you to act in such a manner, we don’t think you could, as it would be violating several provisions of the lawyer’s ethical code of conduct and you would likely be disciplined. However, the field of mediation has seen more and more colonization and infusion of advocacy by the legal field into the process of mediation, and this is precisely why the Standards, most importantly the Standard on Self-Determination, have drawn a deep line in the sand and concluded, “Enough, enough, enough!” No more co-mingling of roles. Over the years, we have not gotten into problems because the couple before us did not know the law or follow the law, as seems to be one of Larry’s concerns. Sure, we have always followed a model of good mediation practice that asks questions about whether or not some of the property we are discussing came into the marriage through gift, inheritance or was in existence prior to the marriage. And, we will ask couples if they wish to treat differently those items of property that are not the product of the marital partnership sweat or effort. 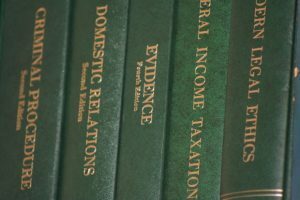 Surely, we could easily define for them the nuances of the Non-Marital Property Law of a particular state, but, we would refrain from telling them the latest rulings or the latest leanings of the court because we know that non-marital property laws are vastly different across state lines. Steve has mediated cases in East Grand Forks Minnesota and in Grand Forks North Dakota and knows for a fact that the non-marital property laws are vastly different on either side of the Red River of the North. Should he help them follow North Dakota community standards or Minnesota community standards? Lenard Marlow has questioned that, if state law is so important, why is it so radically different across state lines? If we become too concerned about whether or not our clients are following community standards, we will need to then mediate in such a way that requires the mediator to rigidly adhere to such community standards. And, the next questions that would arise are: “Who is then permitted or authorized to advise a client about community standards?” And, “Which community standard do we suggest?” “Is a therapist permitted to state to clients when acting as a mediator, ‘I don’t particularly like equal time sharing; I think children need a primary psychological parent and a visiting non-custodial parent’?” (which was the community standard of the 1970’s, when many of us started practicing family law). So, we propose that we have restrictions on what we do as mediators so that we can encourage unrestricted, creative solutions to emerge in the mediation room. We can certainly respect all professional fields. 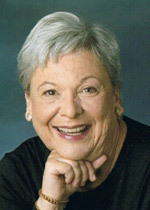 But, because we are a different profession, when it comes to rules and standards, we believe we need to emphasize those differences by instituting our own rules of conduct, while at the same time respecting the rules of the Bar for their members—a process that I would hope they would follow, with respect to the Academy of Professional Family Mediators. 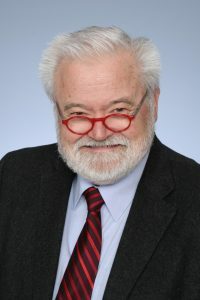 Stephen K. Erickson, J.D., is one of the founders of the original Academy of Family Mediators, started in 1980, and is a Founding Board Member of the Academy of Professional Family Mediators. He has practiced exclusively as a family mediator since 1980. He also helped create the first 40-hour divorce mediation training that took place in 1981, and he continues to write, teach and mediate. 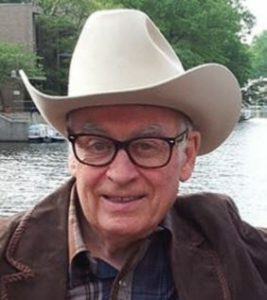 Larry Gaughan was admitted to practice law in Montana in 1957, and in Virginia in 1967. He was a tenured full professor at Washington & Lee and George Mason Law Schools. As an attorney, he is rated by Martindale-Hubbell, the national rating service for lawyers, as “AV® Preeminent™.” Larry has been a family mediator since 1980 and is a Founding Member of APFM. He is a member of the Professional Mediation Board of Standards. This article and response were originally published in The Professional Family Mediator, Winter, 2013.